Jeff Fielder is already an accomplished pro poker player. 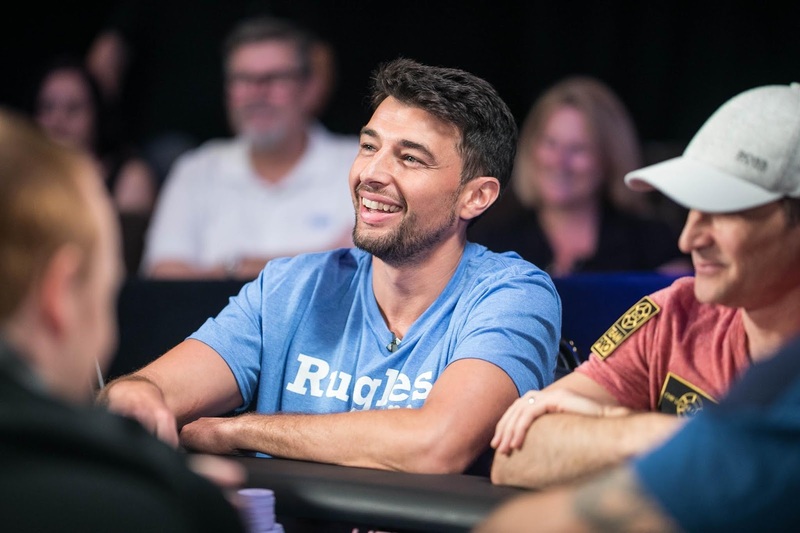 He's got two WSOP circuit rings, two WPTDS titles, and over $1.5M in career earnings. Now he can add another accolade to that list. Jeff Fielder is the newest HPT champion after topping a field of 290 entries at Ameristar Kansas City to take home the top prize of $94,713. Fielder came into the day third in chips. 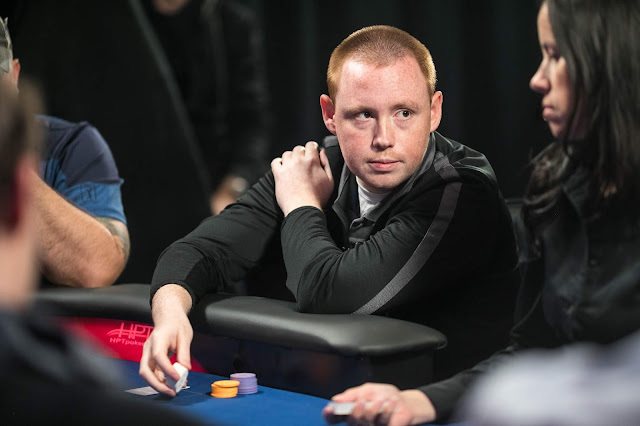 The Des Moines, Iowa native held steady in the early going but won some key pots midway through the day to take a chip lead into the dinner break. He never looked back. The next HPT event is already underway in Vicksburg, Mississippi. The $1,100 Main Event at that location kicks off this weekend. From there the tour will travel back to Missouri for another full series at Ameristar St. Charles. Visit HPTpoker.com for a full list of upcoming events. Soccer coach Jovan Sudar looked like he was having the time of his life at Monday's final table. 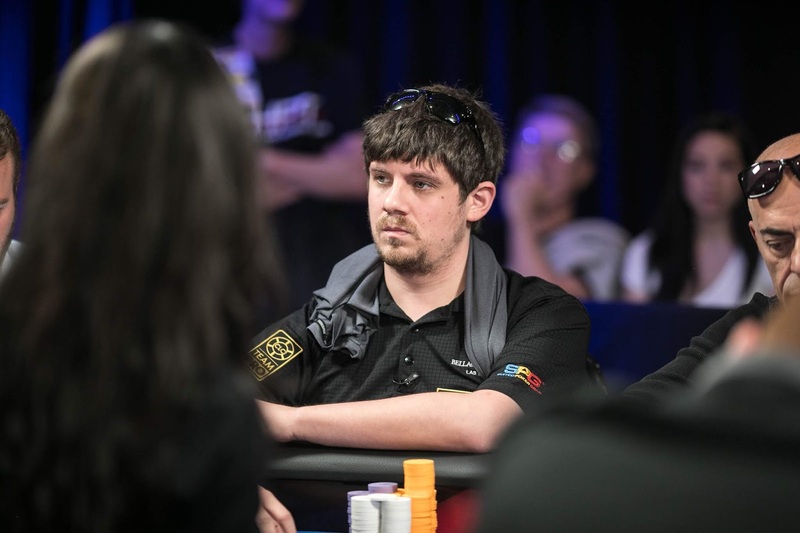 The Omaha, Nebraska man began the day fifth in chips at his first ever HPT final table. He made the most of the opportunity. Time and time again, Sudar battled back from the short stack to survive as the other players hit the rail. When heads up play began, Sudar was a big underdog to Jeff Fielder. Sudar had rivered two pair with his . Unfortunately for him, Fielder had a higher two pair with the . Jovan Sudar was the runner-up here at Ameristar Kansas City. He earned $60,535 for the second-place finish. 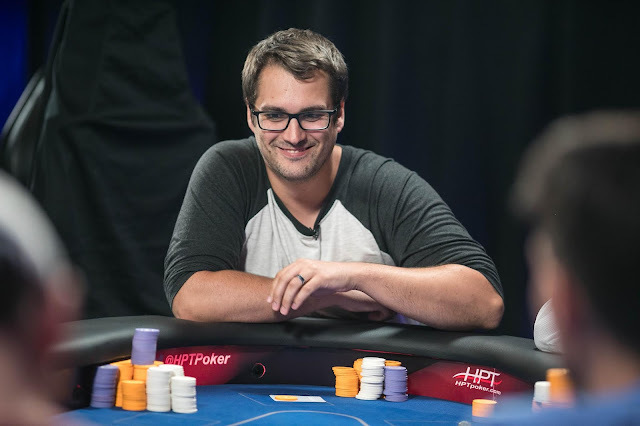 When HPT visited Ameristar Kansas City in October 2017 Nick Jivkov made a deep run before eventually being eliminated in third place. Fast forward almost a year later and Jivkov found himself in a very similar situation. 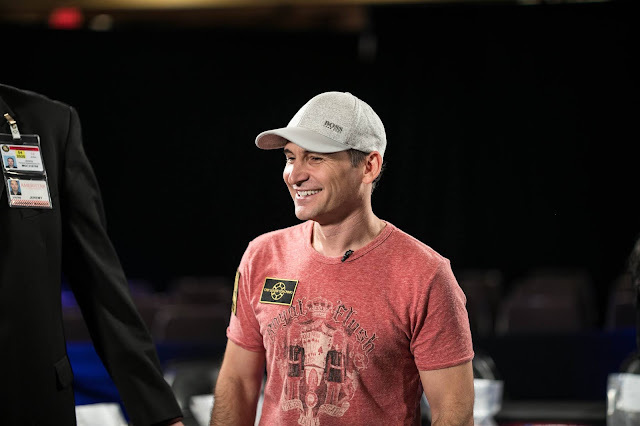 The professional poker player battled it out 3-handed with Jeff Fielder and Jovan Sudar for several levels before finally losing a few key flips and getting eliminated in third place. Jivkov has amassed $1.2M in earnings over the years. He'll add another $40,562 to that total for his third-place finish. Business owner Eric Medved was the chip leader through much of Day 2 on Sunday. 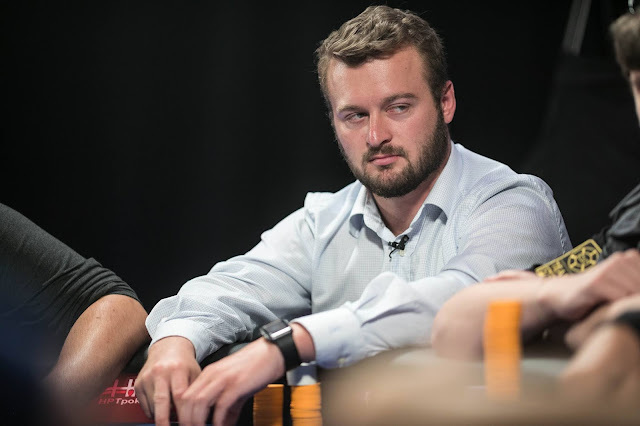 Medved was the first to hit the 1M chip mark and climbed as high as 1.5M on Sunday before finishing the day with 772k. That's what he started with at Monday's final table. This was Medved's first time playing under the bright lights of an HPT final table. The Shawnee, Kansas native made the most of the opportunity and played his way to a fourth-place finish, good for a $28,620 payday. 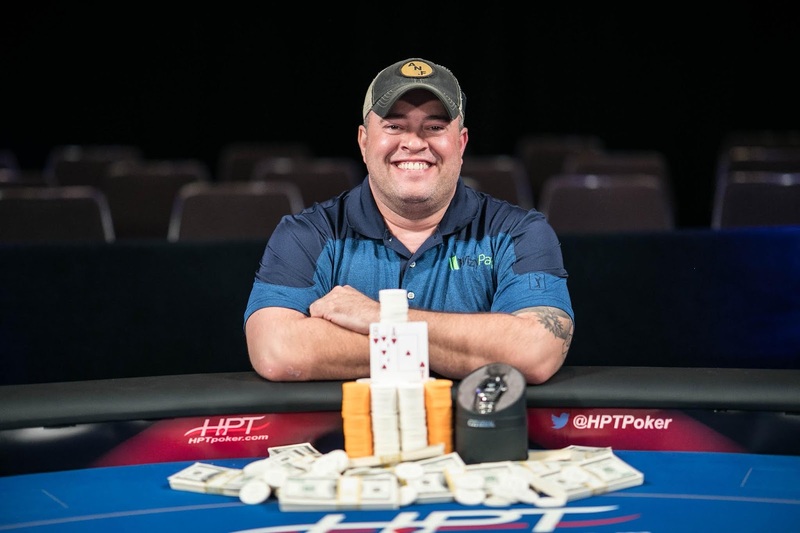 Nick Pupillo already has one HPT title under his belt. Pupillo took down a Chicagoland Main Event in 2015 for $120k. He was hoping to add another one to his resume, but it wasn't meant to be this time. The Gilbert, Arizona man was card dead most of the day and didn't run well when he needed to. 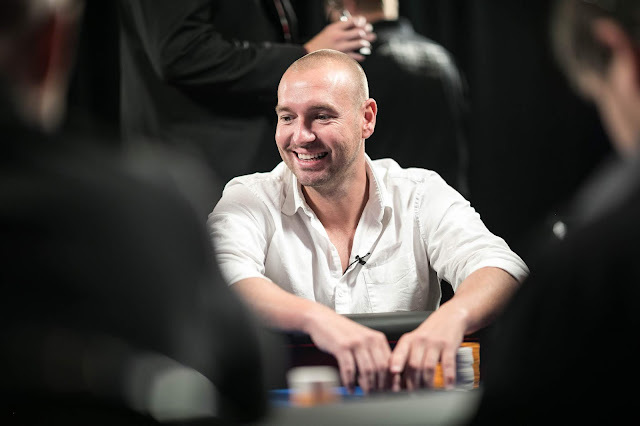 Ultimately, Pupillo exited in fifth place to the tune of $21,414. He'll add that to an already impressive $1.6M in earnings. This weekend was Vinny Moscati's second HPT event in a row. We saw Moscati at last weekend's Main Event in Black Hawk, Colorado and again this weekend in Kansas City. Moscati failed to cash in last weekend's event but made a deep run in KC. The Denver man found a double up early on but wasn't able to get much going after that. Moscati has seven WSOP rings and over $1M in earnings to his name. He was eliminated in sixth place at today's final table. Moscati will take home $17,296 for his efforts. Local engineering district manager Saied Moradi already had $105k in earnings at the felt coming into the weekend. The Lee's Summit, Missouri man can now add over $14k more to that total. Moradi had 995k at the start of the day. He held his own early on but after he doubled up Vinny Moscati with vs Moscati's pocket kings, he was never really able to recover. 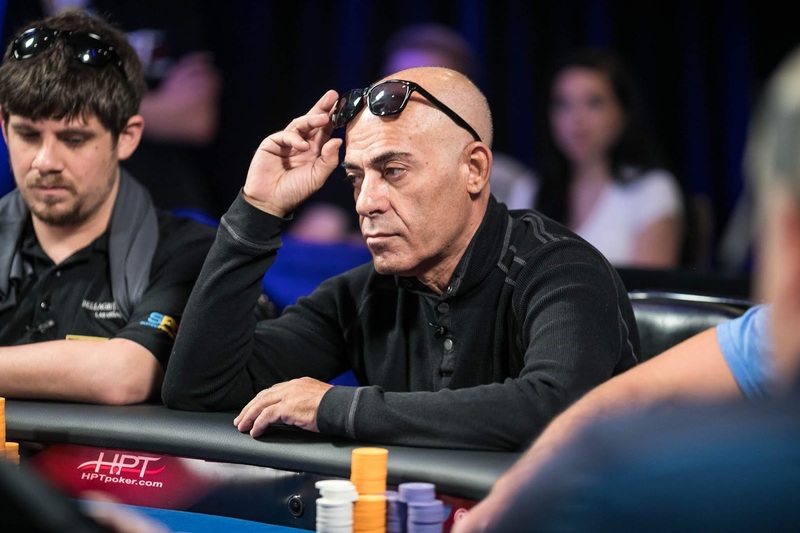 Moradi was eventually sent to the rail in seventh place for a $14,413 score. Local man Rohman Viar parlayed his way into this weekend's Ameristar Kansas City Main Event through a $375 satellite. Viar, an investment representative by trade, came into the day with 732k in chips. Ultimately, he was eliminated in eighth place for $11,942. Viar said he plans to use a portion of the prize money to fix the air conditioner in his car. Corwin Mackey came into today's final table as the only real short stack. He began the day with under 10 big blinds and was never really able to get anything going. Mackey was the first player of the day to be eliminated. He'll take home $10,336 for his efforts and he can add that to an already impressive resume of over $4M in career earnings. We haven't had a chance to do many updates this afternoon due to the fact that our blogger (me/Korey) has been doing livestream commentary. We'll type up a full report when the day is over. Check out all the action live - now - from the HPT Main Event at @AmeristarKC. The play was fast and furious for the 48 players who advanced to Day 2 today in Kansas City. It took just over 6 hours to play down to the final nine. The final nine players will return tomorrow to play down to a winner on the TV table. Public spectators are welcome and viewers at home can tune into twitch.tv/hptpoker to watch. The final table will kick off shortly after noon. The stream will begin 20-30 minutes after. The state of Missouri does not allow hole cards to be shown on the live stream. Friends, family, and fans will have to wait until the one-hour episode airs on TV in a few months to see those cards. The remaining nine players are guaranteed a payday of $10,336 and tomorrow's winner will take home $94,713. After Shiva Dudani posted the big blind and the big blind ante, he only had about 60k behind. Action folded around to Jeff Fielder on the button who went all in, effectively putting James Mackey and Dudani to the test since he had them both covered several times over. Mackey folded. Dudani looked down at his cards. He didn't like that but decided he had already committed enough to the pot to make it worth the call. Dudani held the . He was up against Fielder's . The dealer, Michelle, slowly spread the flop. The window card was the which caused the table to make a little noise. Right behind that was the and to which the table let out a loud collective "OHHHHH". The turn came and the river . Dudani has been eliminated in 10th place for $8,030. We'll have a final table report shortly. Jeremy Jagoda has been eliminated in 11th place. The remaining 10 players have redrawn for seats and are at the unofficial final table. We'll play until we lose one more player and then the remaining nine will come back tomorrow to play on the TV table. Shiva Dudani is the short stack with about 110k. Jon Lawson nursed the short stack long enough to ladder up through a few pay jumps. He finally picked his spot a moment ago and put the last of his chips in the middle. Jeff Fielder and Vincent Moscati made the call. Moscati and Fielder checked down the board. Fielder tabled for the winner. Lawson showed and was eliminated in 12th place for $8,030. Vincent Moscati just recently eclipsed $1M in career earnings on the felt. We saw the New York man at last week's event in Colorado. This weekend in Kansas City he's making a run at his first HPT title. Moscati got all of the chips into the middle with Jeff Fielder before the flop. Moscati was at risk. The board ran out and Moscati won the flip.